October 15, 2012 — Pike County, Kentucky, at the state’s eastern edge, is perhaps best known as a hilly battleground in the infamous Hatfield-McCoy feud. The county also is now on the map as part of the painkiller belt that runs along the Appalachian Mountains, according to a new study published in the October issue of The Journal of Pain. The study reported that the highest prescribing rates for opioid analgesics occur disproportionately in Appalachia as well as southern and western states. Lead author Douglas McDonald, PhD, and his 2 coauthors, all researchers at a firm called Abt Associates, write that the manner in which clinicians prescribe these painkillers may help explain the wide geographic variation. The authors created a county-by-county map of opioid prescribing across the United States by analyzing 135 million prescriptions for these analgesics dispensed by retail pharmacies in 2008. They represented 66% of all prescriptions for the 8 most frequently prescribed forms of opioid analgesics: codeine, fentanyl, hydrocodone, methadone, oxycodone, oxymorphone, tramadol, and propoxyphene ( removed from the market in 2010). The authors used these prescriptions to estimate the total number of opioid analgesics prescribed that year and then aggregated the estimates to the county of the prescribing physician. 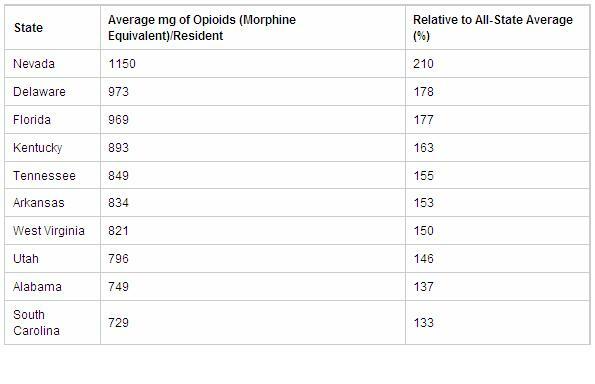 Prescription prevalence rates were formulated as milligrams prescribed and dispensed per 1000 residents, with the weights of the 8 opioids converted into morphine equivalents. The authors measured variation in opioid prescribing as the difference between the average amount in milligrams in all counties and the amount prescribed and dispensed in a particular county. Counties with above-average prescription rates were color-coded on the map as pink, rose, and brick-red — the darker the color, the higher the rate. Counties with below-average rates were colored in deepening shades of blue. Pike County, Kentucky, is one of the many brick-red, opioid-heavy counties in Appalachia, which stretches from southwestern New York to the northern reaches of Mississippi, Alabama, and Georgia. There are also large swathes of intense opioid prescribing in states such as California, Arizona, and Florida. Although the Sunshine State is notorious for its abundance of freewheeling pain-medicine clinics, the study did not include prescriptions that were dispensed at such facilities. Residents of number-one Nevada used on average 7 times more opioid analgesics by weight than the District of Columbia, last on the list. On a county-to-county basis, the greatest variation occurred with oxycodone, methadone, and oxymorphone. The top 25% of counties used 7.1 times as much oxycodone, 10.8 times as much oxymorphone, and 8 times as much methadone as the bottom 25%. “The wide variation in oxycodone prescribing and dispensing is perhaps the most significant, given that this drug is almost half (46%) of the total amount of opioids dispensed, measured in morphine equivalents,” the authors write. Regression analysis identified several characteristics linked to higher amounts of prescribed opioids. The strongest correlate was the availability of active physicians in a county. Other positive correlates included the size of the county’s population and the proportion of residents who were white non-Hispanic, African-American, urban, poor, and uninsured. Emergency department visits, surgeries, and hospitalizations — proxies for morbidity and healthcare utilization — were weakly correlated to geographic differences, although not at a statistically significant level. All characteristics measured in the study accounted for only 33% of the observed variation in opioid prescription rates between counties. That led the authors to hypothesize about the missing pieces of the puzzle. “Patients’ demands for care that result in prescribing opioids…may also vary regionally,” they write. Such demands may reflect differences in injuries. Another possible factor was diversion of opioid analgesics for nonmedical use — as in street sales. More than anything, the authors looked to clinician behavior as a reason why opioid prescribing is heavy in Pike County, Kentucky, and light in Keokuk County, Iowa. A conservative approach to pain management that held sway for most of the 20th century, they write, has given way to a weaker consensus on who should receive opioid analgesics, and for how long. “The collapse of the earlier consensus,” the authors say, “has contributed to wide variations in prescription practices. 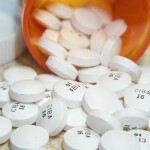 Another likely reason for the variation is the “aggressive marketing” of extended-release oxycodone, introduced in 1996. The authors issued a call for more training and guidance on opioid analgesics to avoid the pitfalls of both underprescribing and overprescribing.